Nano-particles carrying a toxin found in bee venom can destroy human immunodeficiency virus (HIV) while leaving the surrounding cells unharmed. The research was conducted by the Washington University School of Medicine in St. Louis. The Nanoparticles carry melittin, which is the principal active component of bee venom. Melittin fuses with the HIV virus and destroys it’s protective envelope while molecular bumpers prevent the nanoparticles from harming the body’s normal cells. 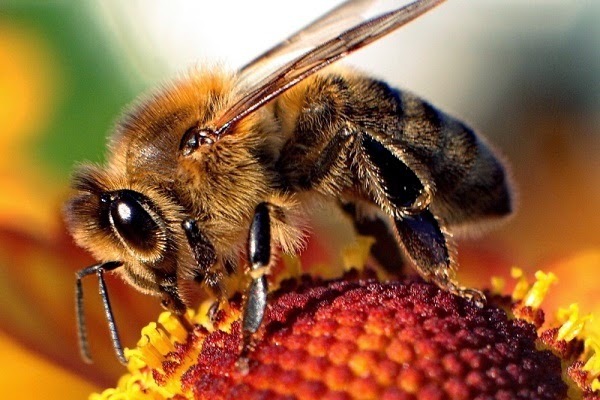 Bee venom is known to disrupt cellular walls and destroy tumour cells as well. Bee venom contains a potent toxin called melittin that can poke holes in the protective envelope that surrounds HIV, and other viruses. Large amounts of free melittin can cause a lot of damage. Indeed, in addition to anti-viral therapy, the paper’s senior author, Samuel A. Wickline, MD, the J. Russell Hornsby Professor of Biomedical Sciences, has shown melittin-loaded nano-particles to be effective in killing tumor cells. Most anti-HIV drugs inhibit the virus’s ability to replicate. This is an anti-replication strategy that does nothing to stop the infection, and many strains of the virus have found ways around these drugs and continue reproducing. Given this discovery, a new vaginal gel could possibly be used in places where HIV is prominent. It can be used as a preventative measure to stop the initial infection and prevent the spread of HIV. The bee venom HIV study was published a several days ago in the journal Antiviral Therapy. More than 34 million people are living with HIV/AIDS worldwide, and over 3 million of them are under the age of 15. Everyday, thousands of people contract HIV around the world. It is also important to note the debate surrounding HIV and AIDS. Findings suggest there is not solid scientific evidence that exists today to prove the existence of HIV. AIDS is also under great debate as in some countries it is considered to be one thing while in another, it is something totally different. One can literally be diagnosed with AIDS in one country but not in another. AIDS is often is simply a term for a HUGE umbrella of potential diseases. The only common factor found amongst definitions is if the body’s T-cell count reduces below a specific level. Why is there such a lack of distinction about what AIDS truly is? Why so many different definitions? “If there is evidence that HIV causes AIDS, there should be scientific documents which either singly or collectively demonstrate that fact, at least with a high probability. There is no such document.” - Dr. Kary Mullis, Biochemist, 1993 Nobel Prize for Chemistry. “Up to today there is actually no single scientifically convincing evidence for the existence of HIV. Not even once such a retrovirus has been isolated and purified by the methods of classical virology.” - Dr. Heinz Ludwig Sanger, Emeritus Professor of Molecular Biology and Virology, Max-Planck-Institutes for Biochemistry, Munchen. It is important to note that a complete understanding of HIV and its isolated existence has not yet been attained by the medical field. Among the scientific community this has been a debate for many years and it is critical for us to keep an open mind about the subject as much research has been put into it. More can be discovered here.